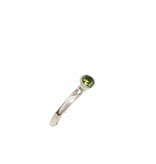 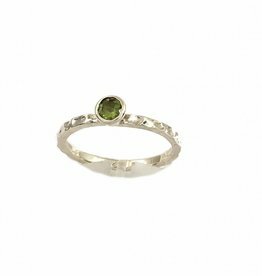 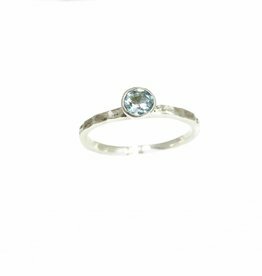 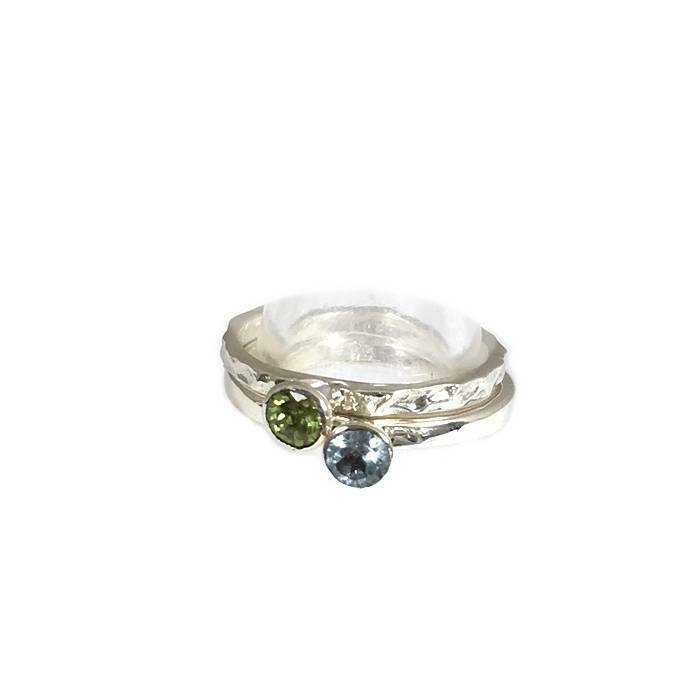 Sterling silver ring with peridot combines beautiful with one of the other stack rings but is also an eye catcher when you wear it as a single ring. 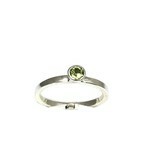 The green gemstone is a beautiful facetted round peridot. 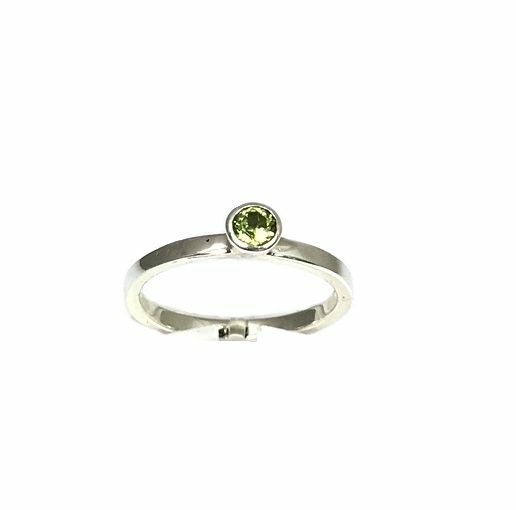 The diameter of the green peridot is about 4 to 5 mm. 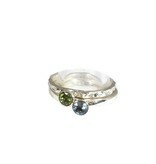 The sterling silver stackable ring peridot is specially handmade for NJAmsterdam by our silversmith in Bali. 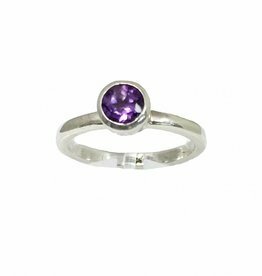 Sterling silver (975) stack ring with a be gorgeous round, facetted amethyst.